SPECIAL DEAL - Usually 14.97, today just 9.97 - Save £5! Daphne Perfume Princess is a brand new variety that is taking the gardening world by storm, and will quite possibly over take all other Daphne varieties as the most fragrant on the planet. 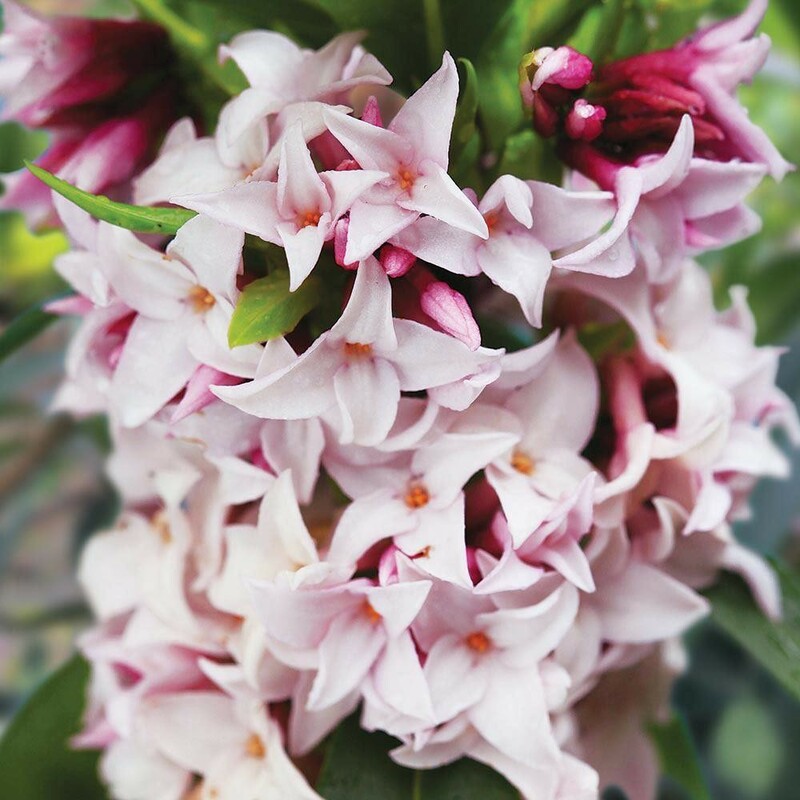 Developed over a period of some 10 years, Daphne Perfume Princess was nearly forgotten in the breeders nursery in New Zealand, but luckily he was bowled over by the heady scent when the plant first bloomed. 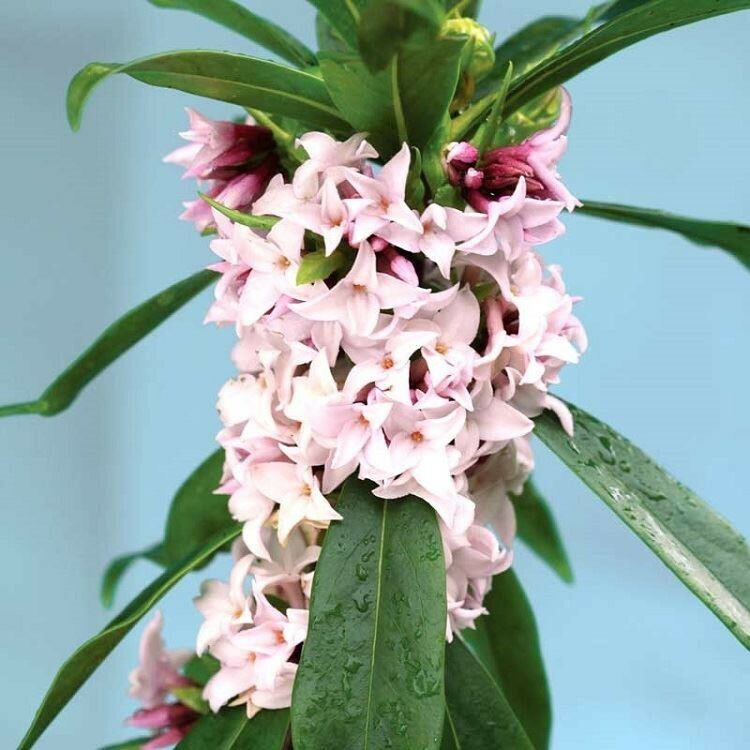 The result of a hybrid between Daphne odora and Daphne Bholua it combines both the strong growth from one parent and the unforgettable fragrance from the other. 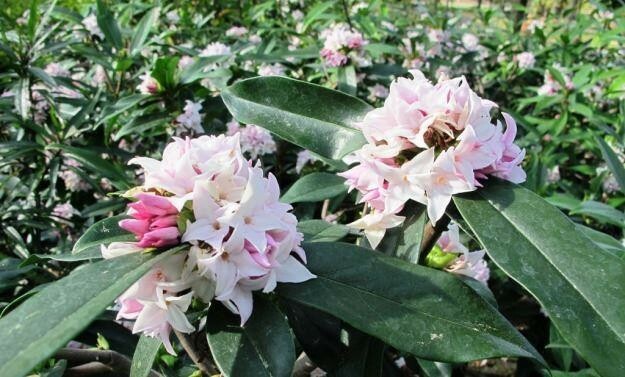 The plants thrive in sun or partial shade and flower in Spring, for sheer flower power it's top of the tree amongst all Daphne varieties and can flower along the length of the stems. It's flowers are also larger, which means more perfume - hence the name Perfume Princess. The plants are more robust than most other Daphne varieties, so you can easily cut a stem for a vase where the scent will fill a room. The foliage is predominantly evergreen, lustrous and dark green to add structure and form to the garden through the year. Plants reach 3-4ft high and wide over time. Supplied in approx 13cm (1 litre) containers. SPECIAL DEAL - Our usual price 14.97, today just 9.97 - Save £5! Save over £15 compared to the other suppliers!